HSA Dermal Clinic is proud to offer the most extensive range of high-quality laser treatment services in London and Surrey, performed at our cutting-edge facility in Richmond upon Thames. Our experience and expertise extend to all aspects of advanced laser treatment for a comprehensive range of skin conditions and complaints. Since going into business, we’ve built an unrivalled reputation across London for going the extra mile for every client we work with. Contact a member of the HSA team to discuss laser treatment options in more detail, or pay us a visit at our Richmond upon Thames clinic at any time. Laser treatment technology has come a long way over recent years, now representing one of the most effective treatments for acne, uneven skin tone, wrinkles, scars and many more common complaints. Book an obligation-free consultation at our Richmond upon Thames clinic today to discuss our complete range of laser treatments. Here at HSA Dermal Clinic, we use the latest ResurFx Technology to deliver genuinely unbeatable results when addressing a variety of common skin conditions. ResurFx Technology uses state-of-the-art fractional laser technology, which penetrates below the surface of the skin to stimulate the production of elastin fibres and collagen. The process encourages the skin to improve its texture and appearance naturally, resulting in a significantly more youthful and radiant look. Essentially, ResurFx Technology capitalises on the body’s natural processes to significantly improve the aesthetic beauty and physical properties of the skin. 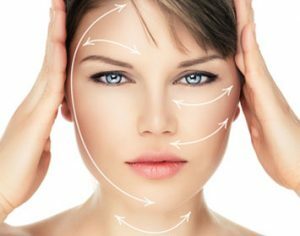 Whether looking to tackle the early signs of ageing or address almost any common skin complaint, you can count on HSA Dermal Clinic to exceed your expectations. One of the biggest advantages of ResurFx Technology is the way in which it is not only effective, but also incredibly safe and capable of delivering rapid results. Depending on the nature and extent of the treatment required, it’s possible to undergo ResurFx Technology during your lunch break and go back to your lifestyle straight after. After just a few treatments, you could be looking at truly remarkable results which only continue to improve for up to six months. Call the HSA Dermal Clinic team today for more information on the latest ResurFx Technology.